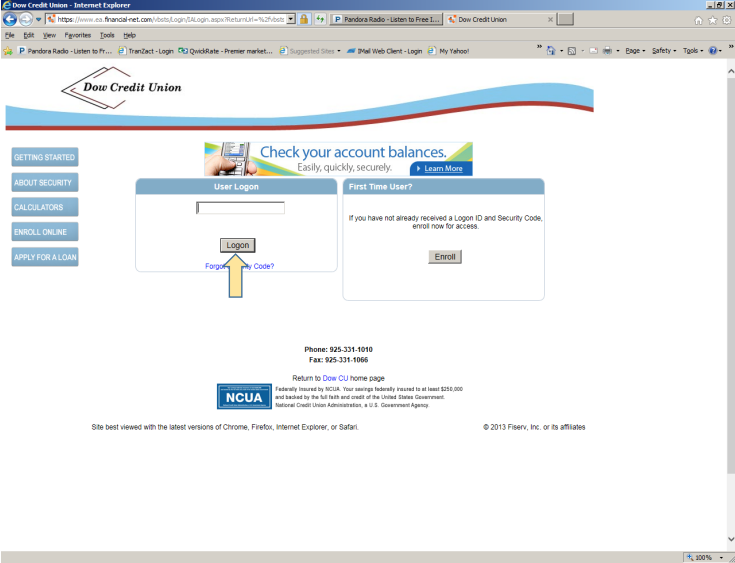 Quick, easy, and secure access your accounts whenever you need it. 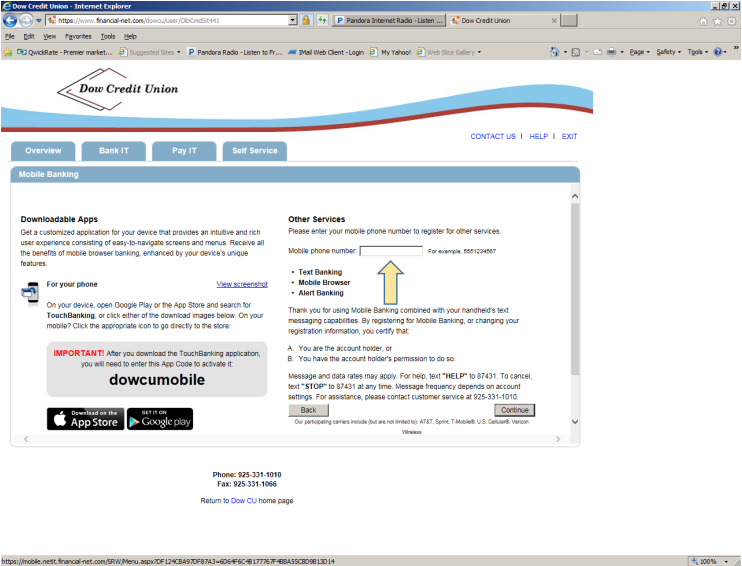 The Dow Credit Union app is available for free download in the iTunes Store and the Google Play store. 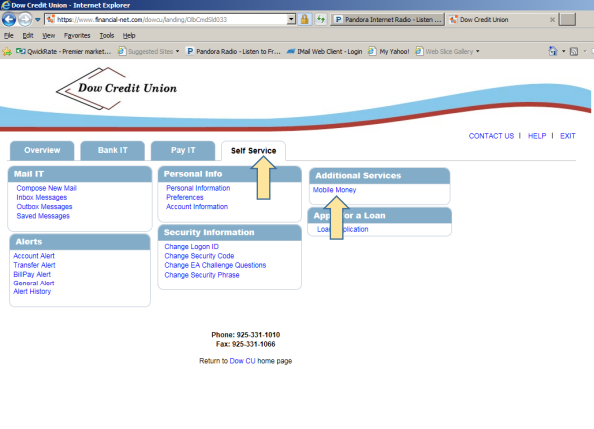 Instant Balance Settings – manage your settings to allow access to view your account balances without having to log in. 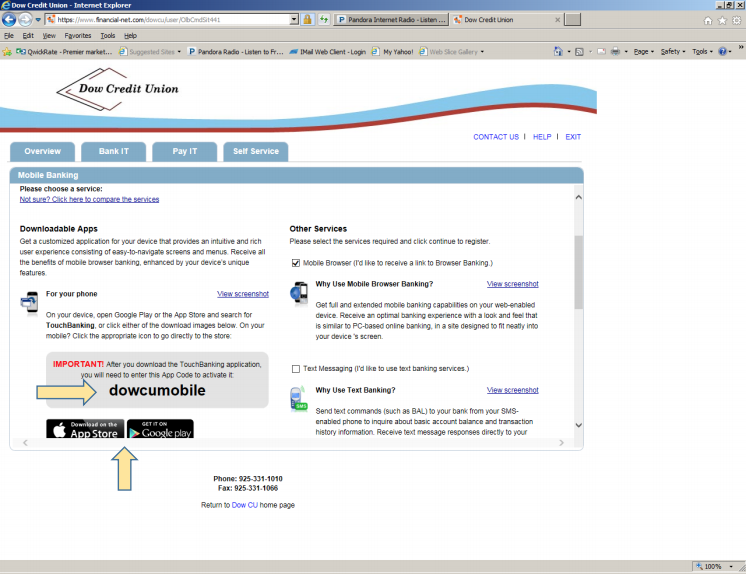 If you do not have access to Apple or Android apps, you can access your accounts through the mobile web browser at www.dowcu.org. 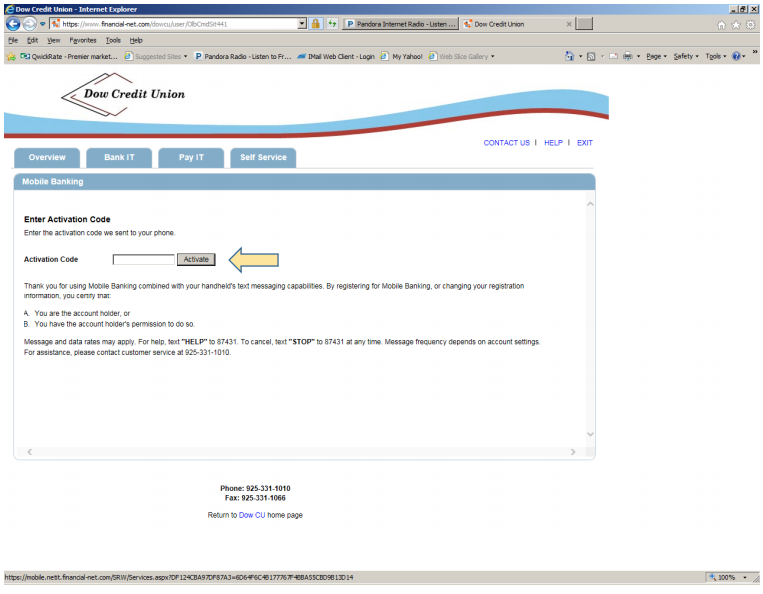 Log on to your Online Virtual Branch Home Banking account. 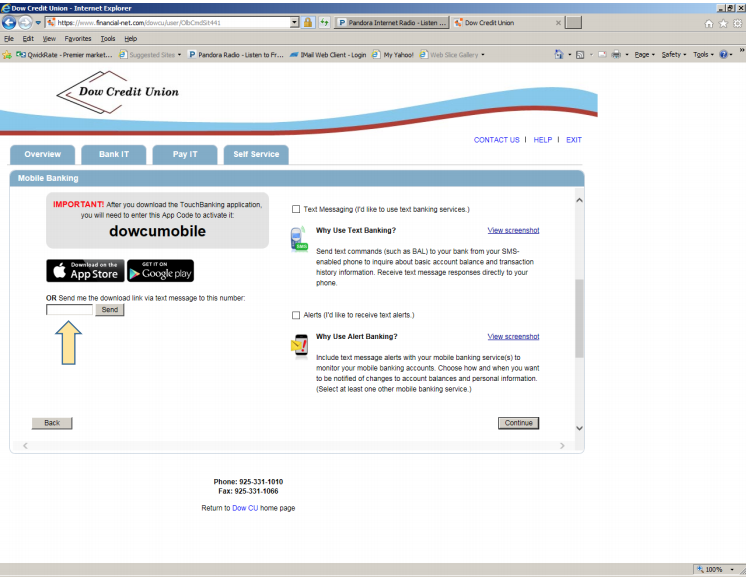 Register your mobile phone under the “Add New Device” button You may select the accounts you would like to see on your mobile phone app. 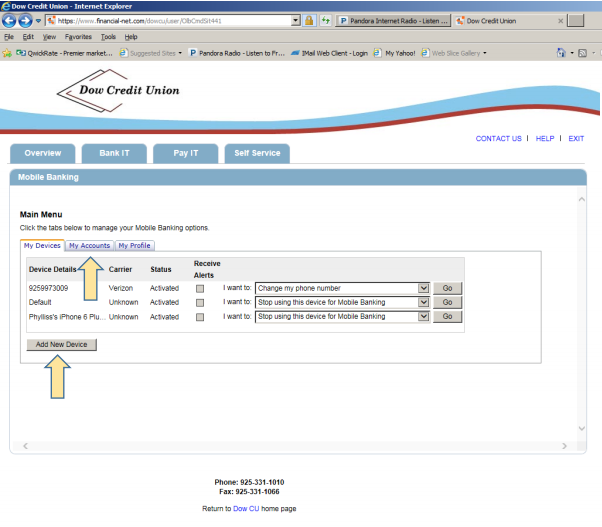 Do nothing if you’d like to see the accounts that you now see in your online Virtual Branch Home Banking. Re‐enter your mobile phone number.